Looking for a high quality apron with pockets with better colour fastness and less shrinkage, plus various features? This product is definitely a must have for any hotel, pub, restaurant or bar business. This apron features black coloured ties with anti-tangle properties, so it’s easy to wear and take off. It has one large pocket at the front, divided into two compartments, for a more organised storage. 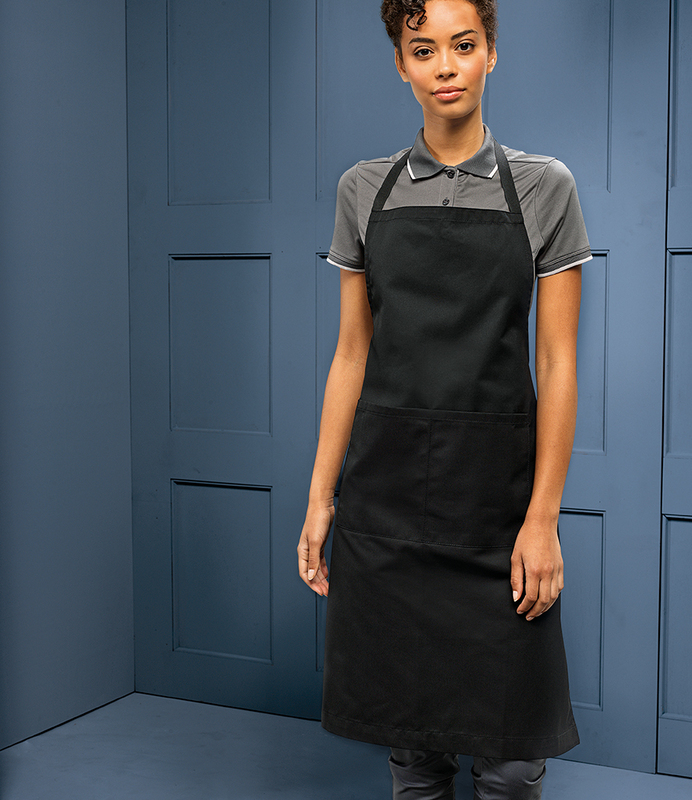 This apron with pockets also has crease resistance as one of its qualities, so you can expect the absence of wrinkles from opening until closing time, giving staff a neater appearance. Made from cotton twill and polyester fabric, this product is best for your apron embroidery and screen printing needs.